Registration Date to join the Volunteers’ Team shall be announced shortly. Watch out! 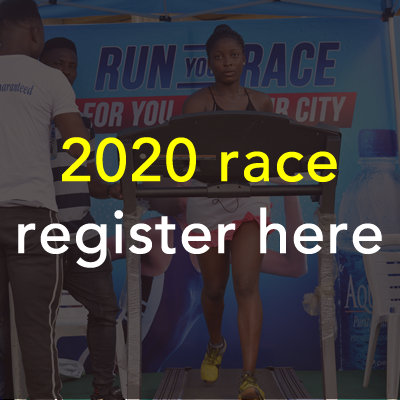 All lovers of Lagos, humanity and running are welcome – we really couldn’t stage this event without your support and contributions. We will have lots of exciting volunteer roles which you can choose from and information will be available soon. Whilst volunteering at the Access Bank Lagos City Marathon, it promises to be fun, exciting and rewarding but definitely not for the faint-hearted. Though it may be long, tiring plus drain physically and mentally; yet come rain or shine, we really need your support as members of the fabulous team to make this a success! We will have a wide variety of volunteer roles available for the 2018 Access Bank Lagos City Marathon. Roles will be allocated based on application, qualifications, areas of specialization and interest. There will be roles for volunteers at the Start point, Finish point (a team to welcome the masses and elites crossing the Finish line), as well as the Exhibition areas or as part of the Medical Team. A full list of roles and information on each role will be available soon. A briefing evening will be held close to the date of the event for Access Bank Lagos City Marathon 2019 volunteers. We will also provide you with a Volunteer Briefing Manual containing lots of important information such as key timings, dos and don’ts, emergency protocols, maps and lots more! Also, briefing notes for each volunteer role will be sent out to all volunteers latest two weeks to the event through the Marathon General Manager; Yussuf Alli.